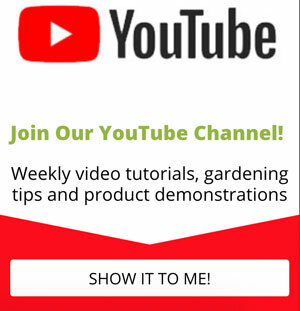 Welcome to the Gardening Products Review website (the “Site”, referred to as “we,” “us” or “our”). Your privacy is important to us. “Personal Information” as used in this policy, is information that specifically identifies an individual. We may collect personal information from Users in a variety of ways, including, but not limited to, when Users visit our site, subscribe to the newsletter, fill out a form, enter a giveaway or contest, purchase a product or service, leave a comment, correspond with us, and in connection with other activities, services, features or resources we make available on our Site. Users may be asked for, as appropriate, name, email address, home address, telephone number, credit card or any other information needed to supply services or products. Users may, however, visit our Site anonymously. We will collect personal identification information from Users only if they voluntarily submit such information to us. Users can always refuse to supply personal information, except that it may prevent them from engaging in certain Site related activities. After visiting our Site, ITG Multimedia will only contact you via e-mail if you have signed up to receive information, newsletters, purchased a product or left an inquiry with us. We may collect non-personal information about Users whenever they interact with our Site. Non-personal information may include the browser name, the type of computer and technical information about Users means of connection to our Site, such as the operating system and the Internet service providers utilized, and other similar information. We also may collect standard web log entries for each page you view, including your IP address, page URL, and timestamp. This web log data enables us to diagnose server problems, administer the Site, and provide functional service to users. The Site also may use web beacons or pixels in order to access cookies, to count users who visit the Site or open HTML email messages. Advertising provided by third-party advertising companies may deliver a cookie to you so the ads you see can be tracked. We do not provide these third-party advertising companies with any personally identifiable information. However, these companies may use non-personally identifiable information about your visits to the Site and other sites in order to provide advertisements about goods and services of interest to you. We have no access to or control over the cookies used by third parties. We may use the information Users provide about themselves when placing an order only to provide service to that order. We do not share this information with outside parties except to the extent necessary to provide the service. For your protection, any credit card information you may provide while purchasing products / services is not stored on our server. We utilize an external secure payment gateway provider to keep this information encrypted and secure on your behalf. We do not sell, trade, or rent Users personal information to others. We may share generic aggregated demographic information not linked to any personal identification information regarding visitors and users with our business partners, trusted affiliates and advertisers for the purposes outlined above. We may use third-party service providers to help us operate our business and the Site or administer activities on our behalf, such as sending out newsletters or surveys. We may share your information with these third parties for those limited purposes provided that you have given us your permission. We may also disclose your personal information if we are required to do so by law or in order to protect ours or others’ rights, or enforce our site policies, or as required by a court or government agency or to respond to a claim by you or a third party. While we protect your Personal Information, please be aware that should you engage in aspects of our Site that make your Personal Information available for viewing by third parties online – for example, by commenting on blog posts, writing on message boards, participating in online chats – such information can potentially be seen, collected and used by others besides us. We cannot be responsible for any unauthorized third-party use of such information. Users may find advertising or other content on our Site that link to the sites and services of our partners, suppliers, advertisers, sponsors, licensors and other third parties. We do not control the content or links that appear on these sites. In no event shall we be liable or responsible, directly or indirectly, for the content and activities of these linked sites. In addition, these sites or services, including their content and links, may be constantly changing. These sites and services may have their own privacy policies and customer service policies. Browsing and interaction on any other website, including websites which have a link to our Site, is subject to that website’s own terms and policies. An individual who wishes to access, correct, or delete their personal data should direct their inquiry to ITG Multimedia as provided under “Contact,” below. We will retain personal data that we process for as long as needed to provide our services and otherwise serve the legitimate interests of ITG Multimedia. Personal data of individuals collected by us may be stored and processed in the United States or any other country in which ITG Multimedia, its vendors, or partners maintain facilities. ITG Multimedia may transfer personal data for processing across borders and from your country or jurisdiction to other countries or jurisdictions around the world.